April 6, 2016 — People in developed countries rarely think of weather in life-or-death terms. But millions in the developing world have no choice but to do so. The global rich have stable governments, savings accounts, insurance and more to fall back on when disaster strikes. People in poorer countries don’t, so they’re often faced with tough decisions in times of drought: Sell the only ox for food and plow by hand next year? Take the kids out of school and put them to work chopping firewood for extra cash? Abandon the farm and family to look for work in the city? 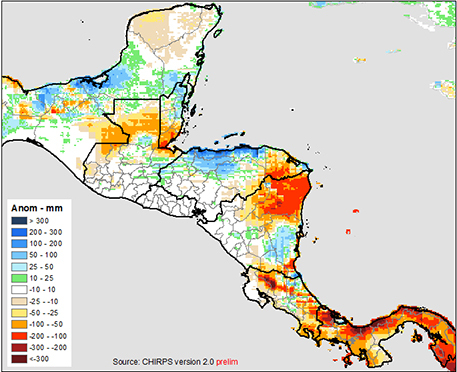 The data set, called CHIRPS (short for “Climate Hazards Group InfraRed Precipitation With Station data”) blends data from weather stations and weather satellites with extraordinary accuracy, providing a detailed record of global rainfall stretching back more than 30 years. By making it possible to compare current rainfall patterns with historical averages at the neighborhood scale for virtually the entire world, CHIRPS provides an early warning system for drought, making it possible for development agencies, insurance companies and others to more effectively activate adaptive strategies such as food aid and insurance. “Now, we can accurately identify how horrible things are” and target assistance accordingly, says Pete Peterson, who led the development of the new data set, which was released in February 2015 by the Climate Hazards Group at the University of California, Santa Barbara. 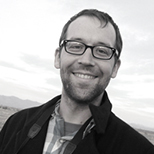 CHIRPS was conceived of by Chris Funk, one of Peterson’s colleagues. In the early 2000s Funk had been working in Ethiopia for the Famine Early Warning System Network, or FEWS NET, a project of the U.S. Agency for International Development, when researchers at the University of Reading in the U.K. devised a technique for merging satellite rainfall estimates over Africa with sparse rainfall observations from ground-based weather stations. Funk quickly recognized the value such an approach would have for improving FEWS NET’s ability to identify emerging famines early on so aid agencies can respond quickly. CHIRPS uses that approach, with significant upgrades, and extends it for the whole planet. Nothing like CHIRPS has ever existed before. The new data set has about 100 times the detail as previous attempts to merge satellite and ground-level precipitation data and provides unprecedented coverage across years and continents. Best of all, thanks to grant funding the data are freely available — a godsend to cash-starved aid agencies. For some remote places in Latin America and Southeast Asia, this is the first time a climate trend can be reliably tracked over time. The biggest revolution is in places like Central America and the Pacific. “Before CHIRPS, there really wasn’t any good monitoring there,” says Funk. When we think of the front lines of climate change, we usually think of tragedies like what’s happening in Ethiopia this year: There’s been a terrible drought, and now food supplies are stretched thin. Poor rains during Ethiopia’s main growing season are strongly linked to El Niño. During the last major Ethiopian drought disaster in 1984, on the heels of the powerful 1982–83 El Niño, hundreds of thousands of people died because the government exacerbated the famine in the midst of a civil war, and international aid became politicized. Thanks to CHIRPS and other technologies, we can now anticipate drought emergencies and watch them unfold almost unimaginably better than in 1984.Knowing how much it has rained seems basic to those of us in data-dense countries like the United States. But for places like Ethiopia, reliable weather station data is hard to come by. Just as parts of the developing world are leapfrogging fossil fuels and landline telephones for renewable energy and cellphones, monitoring rainfall from satellites skips the need to invest in and maintain thousands of remote rain gauges, and is helping relief agencies and governments track extreme weather events. Thanks to CHIRPS and other technologies, we can now anticipate drought emergencies and watch them unfold almost unimaginably better than in 1984. Last July, the CHIRPS team noticed that their data set was showing an almost total lack of rain for parts of Ethiopia, in what would normally be the wettest time of the year. Funk contacted the Ethiopian meteorological service to independently verify what he initially suspected might be an error. “This process is sort of new, and we want to make sure we’re not messing up,” Funk says. “So when we see these huge anomalies, we try to really follow up with that.” He was able to put the stark data from CHIRPS in context to produce a prediction of the drought’s impact on plants, which, when combined with field reports of dead livestock and failed crops indicated an unfolding disaster. “There’s disaster response, and then there’s improved adaptation, and the latter is what we really want to see.” – Chris Funk Of course, just knowing you’re in a drought isn’t enough to reduce its impact. But FEWS NET is using that information to draw attention to worsening conditions in the drought-affected area and to help identify exactly which villages have been impacted and how badly. By last May, seasonal weather forecasts began to suggest that the coming El Niño would be a strong one, potentially shifting Ethiopia’s midyear rains toward drought. By last October, after the main rainy season had concluded, it was clear from CHIRPS that the worst case had come to pass and Ethiopia would suffer greatly over the coming months. In January, U.N. Secretary-General Ban Ki-moon visited Ethiopia to draw attention to the crisis. Organizations like Oxfam began pouring resources into publicizing what was happening in Ethiopia and dozens of other countries around the world, due to El Niño-linked extreme weather. Funk calls the early identification of the Ethiopia drought the team’s “biggest contribution” so far. CHIRPS is playing a role in bringing insurance to climate-vulnerable regions for the first time, too. For about 10 years now, Ethiopia has been a test bed for a new type of agricultural insurance based on rainfall, called index insurance, that shows a potential to increase resilience to disasters. The basic idea is that subsistence farmers can purchase the right to financial compensation during low rainfall years through insurance programs sponsored by governments and climate-focused aid agencies. The catch is, up to now, finding reliable rainfall records to set the rates and determine payouts for remote villages has been a real problem. With the advent of CHIRPS, this type of insurance could become available faster to rural areas in need around the world. Agrotosh Mookerjee, an actuary who consults for governments and humanitarian projects on weather-based insurance, is considering a switch to the CHIRPS data set to expand a project in Zambia that uses satellite-based rainfall measurements to set rates, determine payouts and insure 60,000 farming households. In Zambia, Mookerjee says, some farmers are hundreds of kilometers away from the nearest weather station. There are gaps in the data, and some old weather stations have stopped functioning. To further expand his project, Mookerjee needs reliable weather data for the rural communities, and is considering adopting CHIRPS in the coming season. Insurance projects like these that serve food producers living on the edge have gotten the attention of the United Nations and other organizations seeking market-based approaches to climate change adaptation. The G7 group of nations, for example, recently launched an initiative to help bring more than 400 million people across the developing world under climate disaster–related insurance protection by 2020. A few insurance companies are viewing this sort of climate insurance as a major future profit center. 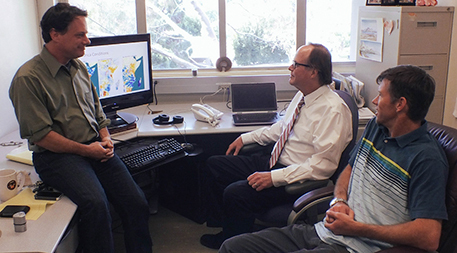 Meanwhile, back in Santa Barbara, Funk and colleagues are already working on their next project: A CHIRPS data set for global temperature. Leif Heimfarth is an underwriter for Hannover Re specializing in agricultural risk. As one of the world’s leading reinsurers — an insurance company for insurance companies — his company is very concerned about the world’s vulnerable rural economies, given trends toward increasing severity of weather disasters. Hannover Re expects to continue expanding its weather-related insurance portfolio, and Heimfarth sees satellite rainfall estimates like CHIRPS as a key technology to help them do that. Ethiopia’s climate is shifting toward more frequent drought, and about 80 percent of Ethiopians make their living by farming, so what we’re seeing this year may be just a portent of troubles to come. And, of course, Ethiopia isn’t the only place currently in crisis. El Niño has plunged much of Central America, southern Africa and Southeast Asia into drought and brought floods to South America. As Syria enters a sixth year of brutal war, sparked in part by a drought made worse by climate change, aid agencies are overwhelmed with need. Wherever in the world such conditions crop up, CHIRPS is available to help overburdened aid agencies prioritize their attention at the local level. A tremendous achieved weather forecast project to the developing countries. Kudus to the added urgency of El Nino and the Santa Barbara team.